Baja Claw TTC Extreme Mud Terrain 31X10.50R15LT 15.0 Inch Rim Dia 30.8 Inch OD. The Mickey Thompson Baja Claw is the ultimate extreme traction tire. The rugged off road performance comes from the 23-degree angled tread pattern. 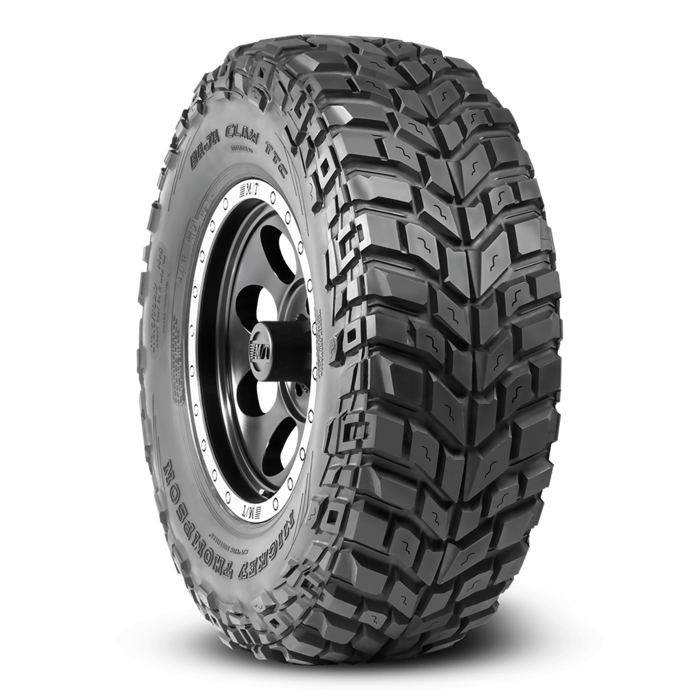 The large directional Sidebiters (R) provide added sidewall protection and intense traction in extreme Off Road conditions.